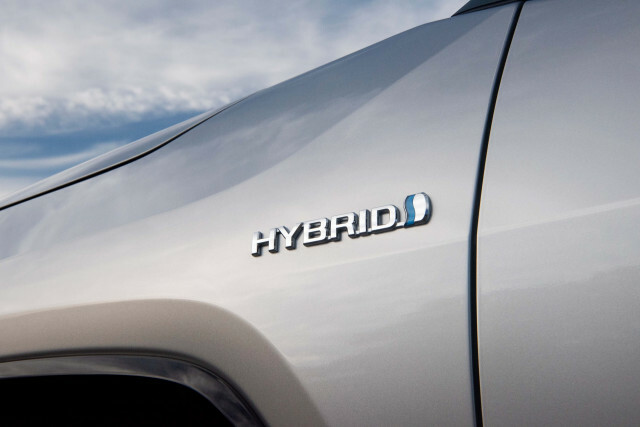 At 39 mpg, the RAV4 Hybrid is now the highest-mileage sport-utility vehicle (as the EPA lists them) without a charge port. All the more impressive is that it’s not a low, teardrop-shaped vehicle with utility compromised in the name of aerodynamics but a tall wagon good for back-seat passengers and offering 8.6 inches of ground clearance. And it’s quicker than the non-hybrid version. Before the RAV4 Hybrid arrives, early next year, the Nissan Rogue Hybrid holds the claim of highest-mileage non-plug-in SUV, with a 34 mpg combined rating. If you want all-wheel drive with the Rogue Hybrid, your combined mileage rating will drop by 1 mpg, as the top number is for the front-wheel-drive version. While we’ve been unable to meet the EPA rating in the Rogue Hybrid, after several drive experiences, we achieved an indicated 39-mpg average during the not-entirely-gentle preview drive of the 2019 Hybrid. 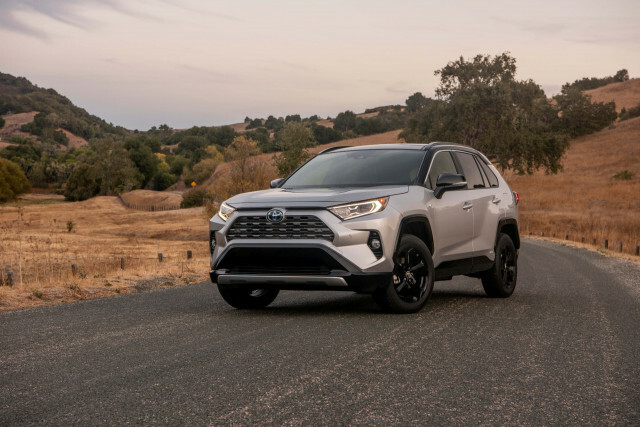 It’s a big improvement over the 2018 RAV4 Hybrid, which earned 32 mpg combined. Toyota attributes the improvement to some big changes in the system’s design, with the two motors mounted coaxially rather than in-line. The result is about a 25-percent reduction in losses and smaller, lighter packaging. There’s also a fully variable oil pump and variable cooling system for the engine, and the nickel metal hydride battery pack is more efficient than before. If you haven’t kept tabs, affordable carlike compact sport-utility vehicles like the RAV4 Hybrid aren’t a narrow niche. They occupy the space formerly held by the mid-size sedan. Toyota sold more than 400,000 of them last year and is on track to sell even more this year, the last year of the outgoing generation. It now outsells the Toyota Camry, and Toyota anticipates selling a quarter of them in Hybrid guise.